When most people think of sunny San Diego, California, they think of long days spent lounging on the beach. But residents of the area know that there is more to San Diego than just the beach. Besides the sun and sand, homeowners have lawns, trees, and gardens they love to spend time in. There are many different types of grass out there to choose from when seeding your lawn. The first thing to understand when looking for the grass that will best suit your lawn is knowing your soil. The southern part of California is mostly comprised of clay soil. Being close to the coastline, clay soil helps retain important nutrients due to poor drainage but can contain high amounts of sea salt that can be harmful to plants. Be sure to know the number of nutrients your soil currently contains and how much you’ll need for optimal grass growth. The exact look and feel of your lawn will depend on the grass type you choose, but a lush, green yard is attainable no matter what type you go with. Here are three of the best grass types for lawns in San Diego. Bermudagrass is a very common grass type for most of the U.S. It’s a warm-season grass that needs a lot of sunlight, but it’s tough and resilient. Heat, drought, traffic, and salt tolerant, it’s an easy maintenance option for many lawns. Although it doesn’t handle cold temperatures very well, it thrives in the southern part of the country. Bermudagrass grows quickly and needs about an inch of water from rainfall or irrigation to thrive. It may need fertilizer or other soil amendments to look its best, but it spreads easily via stolons above ground. So if you’re looking for a durable grass, Bermudagrass might be a good pick for you. Tall fescue is a cool-season grass with good heat tolerance. It’s also shade, disease, and drought tolerant, so for San Diego yards with a lot of shade, this option of grass type may be a good fit. Its self-repair is limited, so if it thins out you may need to seed again. It establishes easily and germinates quickly, so, within just a few weeks from seeding, you should be able to see some progress. Tall fescue grows deep roots, which help it to grab water and nutrients from deep within the soil. It also requires less fertilizer than some other grass types, while growing in a variety of soil types. St. Augustine is a great pick for warm areas. This grass does not do well with cold temperatures, but it is very drought tolerant, so the Southern California climate is a perfect fit. It’s a quick growing grass that does well in moderately shady areas. It spreads via above-ground stolons, so it can appear very thick and lush. As a high maintenance turfgrass, you should expect to mow it regularly and apply a monthly application of fertilizer. Don’t cut too much when you mow, as you risk thinning it out due to the stolons. However, it doesn’t hold up under very high traffic, so if you have more than the normal wear and tear happens to your lawn, you may need to consider another option. 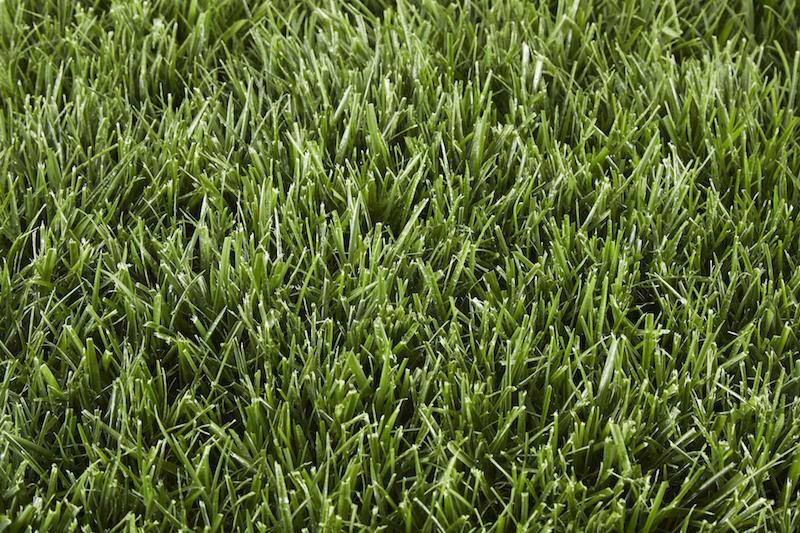 Learn more about our San Diego lawn care services to see how we can help you with selecting a grass type for your lawn! The post 3 Best Grass Types for Lawns in San Diego, CA appeared first on Lawnstarter.